The Climate Chronicles: Our biggest Climate Camp yet! Our biggest Climate Camp yet! In terms of sheer numbers, this is our biggest Climate Camp yet. 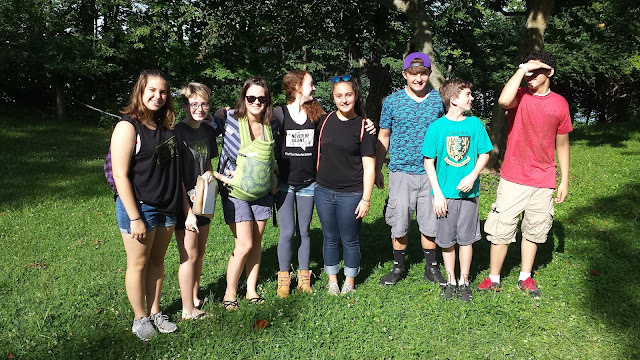 In fact, we doubled the number of Campers from last year's initial Climate Camp, so this movement of coming climate science with civics and the arts is growing. 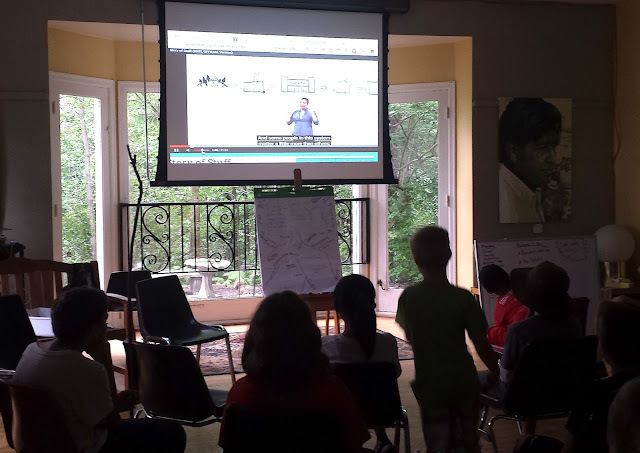 Our Day Camps are helping. You can check them out here and here and here. And we are starting to take Climate Camp on the road. Here's our South Bend overnight. And you can check out last year's weeklong camp here. 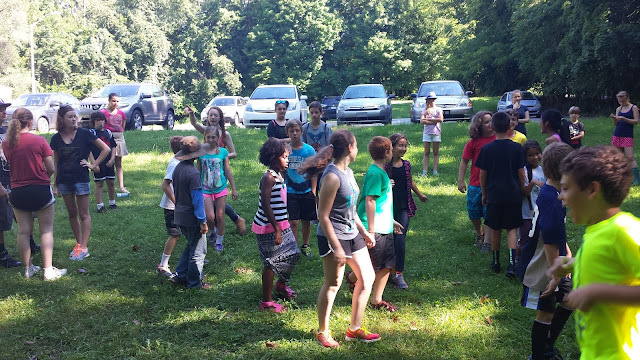 Thanks to Lilly Endowment Inc. for their support of this camp. Rather than wax poetic about it all, I will let the photos do the talking. 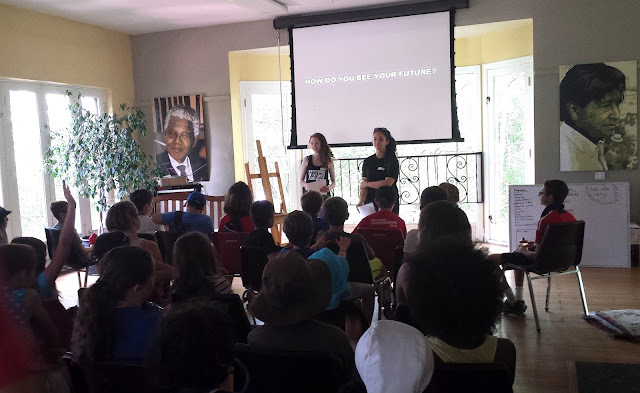 One of the keys to this year's weeklong Climate Camp was putting youth in charge of aspects of camp planning and presentations. Here, Iris (left) and Maddie (right) do a presentation on climate change and climate solutions. 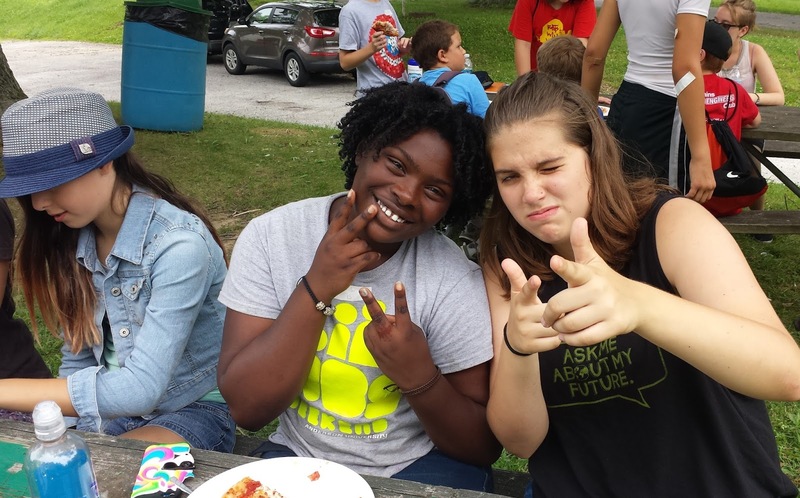 Part of the process of empowering youth was elevating our veteran Climate Campers to counselor status. Note, third from left, Climate Camp co-director Kristina Hulvershorn, whose infant was along for the entire week's ride. We ate vegan all week, including Monday's lunch of vegan pizza. 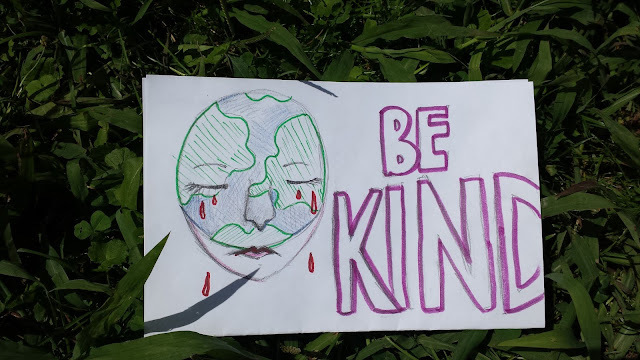 Eating vegan is about being kind to the earth. Here Isabelle (left) and Homiko demonstrate a different type of kindness, sharing one plate instead of using two plates. Not a great photo, sorry! In addition to covering climate change and climate solutions, we also showed Story of Stuff to explore ways we can reduce our carbon footprint. Our home base at the Peace Learning Center is Eagle Creek Park, so being in nature is essential. 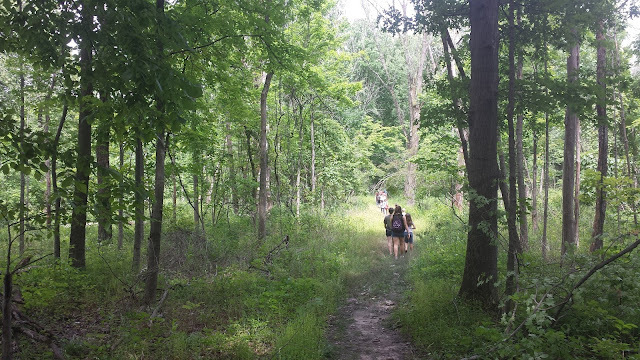 Here we are on a hike, led by Nate Garvey from White Pine Wilderness Academy. 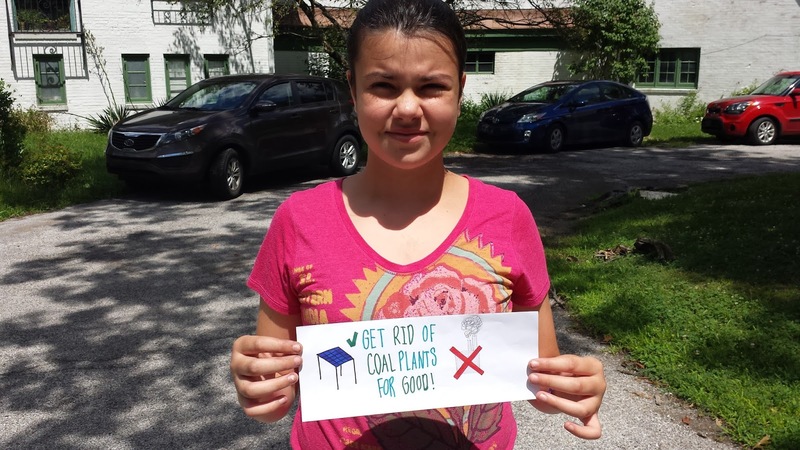 Being a Climate Camper is about being a good steward of the earth. 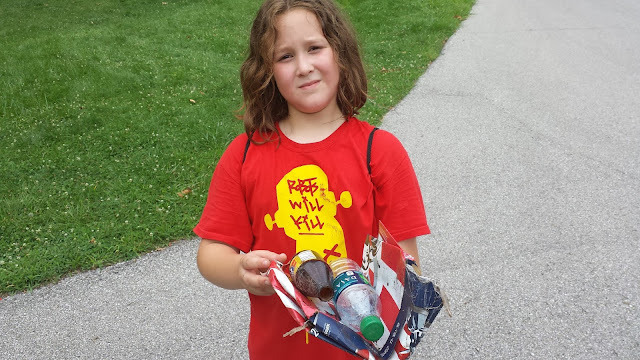 Here, Alden, shows off the trash he found on our nature hike. We then placed the items in the PLC's recycling bins. 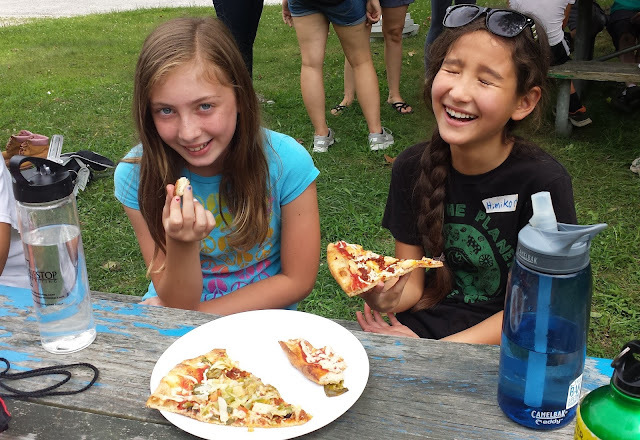 Fundamental Climate Camp fun is growing friendships. Here, Maciah and Cora, Youth Power Indiana's most active Instagram users, pose for the camera. We started off Day Two with a nifty theater improv piece taught to us by IUPUI's Gabe Filippelli, our resident climate scientist. The counselors led the Campers thru an exercise that demonstrates the impact of CO2 and methane on the atmosphere's capacity to trap heat and thus more water vapor. On Day Two, we brought the arts into the mix. 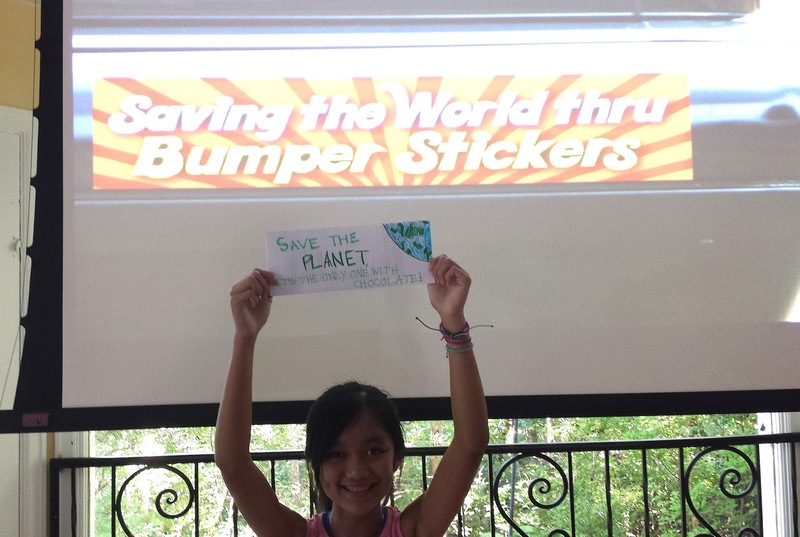 I showed the Campers my Saving the World Thru Bumper Stickers presentation, then the Campers created a bunch of their own stickers (see below). 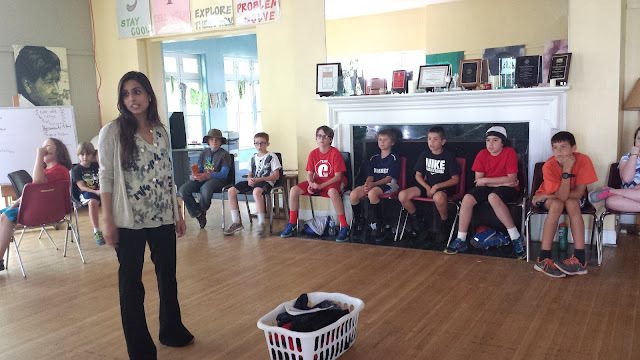 At the same time, counselor Molly Denning let a group of Campers through a 3D sculpture workshop. Caroline goes to the heart of it with her bumper sticker. 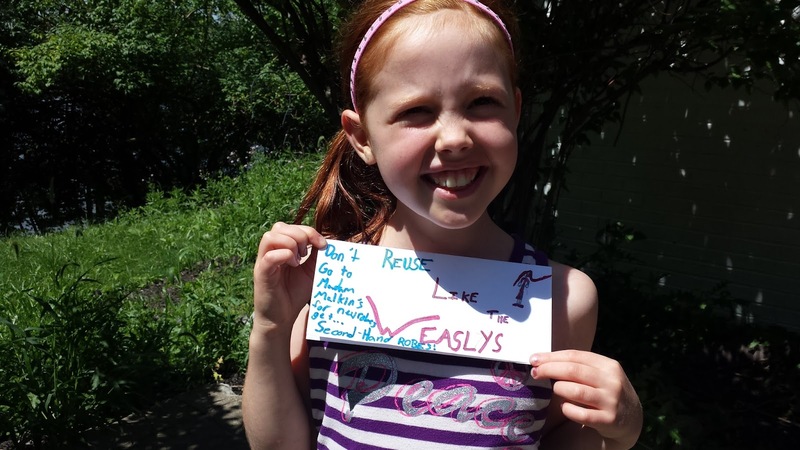 Ella's inspiration for her "use less" bumper sticker is Harry Potter — and mostly the Weasleys! We had an overseas Camper who spent the week with us: Magda. On Day Two in the afternoon, we welcomed visiting experts. 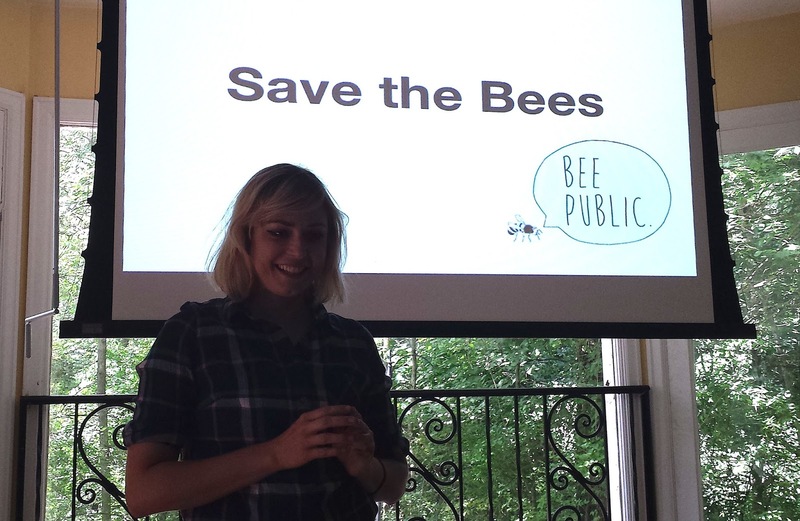 Kate Franzman did a presentation on the importance of pollinators. 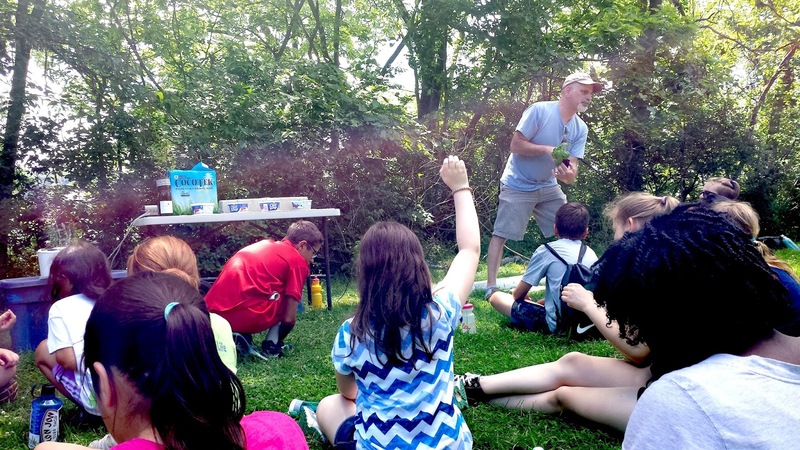 Chris Cruzan from Greater Good Gardens did a workshop on hydro- and aero-ponic gardening. And Waseema Ali from the Desmond Tutu Center spoke to the kids about the importance of civic engagement. Lest I forget the vital issue of lunch, we ate vegan, with contributions from local farmer Tyler Gough from Indy Urban Acres. 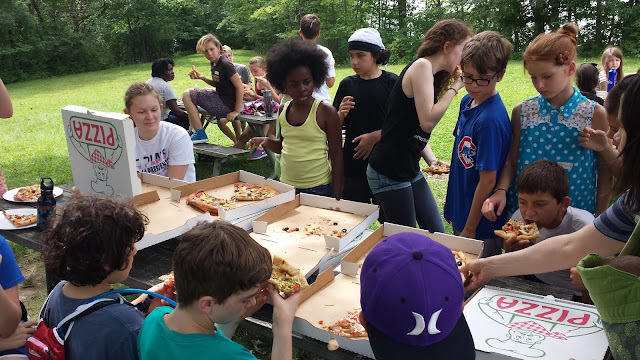 The campers planned and implemented the lunch. 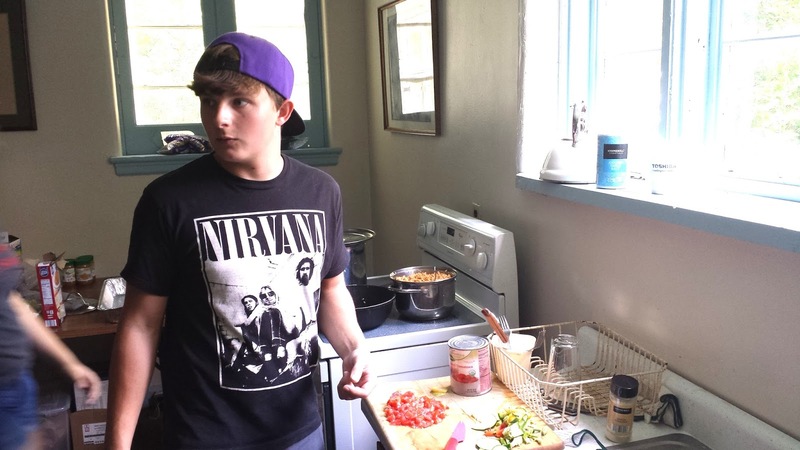 Sam proved to be the most adept in the kitchen. We like field trips at Climate Camp so that our Campers can see the real-life successes in sustainability around our great city and beyond. Due to the enormity of our population this year, we decided to break up into two groups to explore the city. Thanks to IndyGo for donating day passes for our adventurous day! Here's a selection of images from the day. Note I couldn't be in two places at once, so the other group has lots of photos, too. Taking IndyGo was about sustainability, of course. We kept our carbon footprint low by riding the bus. 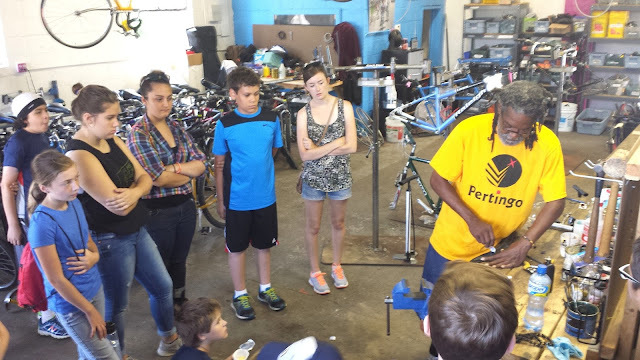 Our first stop was Freewheelin' Community Bikes, where we learned how low the footprint can go when you ride a bike! First stop, Freewheelin' Community Bikes. Everyone attended a workshop of bicycle maintenance and safety, led by Lateef. Right down the block from Freewheelin' is an exemplary community garden. 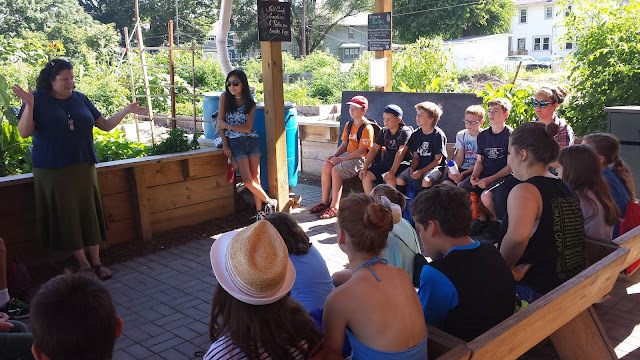 Maggie Goeglein, head of Fall Creek Gardens, talks about gardening, but also describes Mapleton Fall Creek's neighborhood LEED Certification program. Group two, awaiting the bus to take them to Indy Urban Acres. All our trips that day required transfers. Here we are waiting for the bus to take us to Paramount School of Excellence. 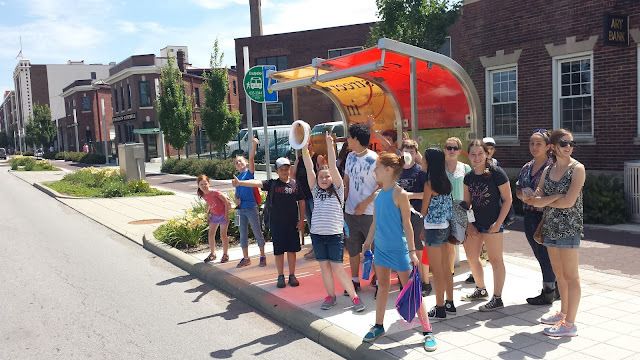 For over half our Campers, this was their first day riding the bus. Everyone had a great time! For more on on our weeklong camp, go to Our biggest Climate Camp yet, part two! This is really a good idea. Teaching youth about the planet will not only get them to become proactive and also teach their parents about it.